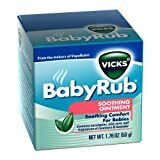 Baby products to help with sickness. When your baby is sick, try these products to help baby feel better. Helps for baby’s cold. Humidifier: A help everyone knows, but a help. Baths: I know they make me feel better when I don’t feel well. Please be sure to add your own tips! Thanks Wilson Ramblings–I had never heard that! Thanks for this! I have been wanting to get a temporal thermometer since that’s what they use at my daughter’s pediatrician’s office (& it’s so easy! ), but I was afraid I would end up getting one that doesn’t work well. I looked this up on Walmart.com & it also has great reviews there & was a lot cheaper than I was expecting. Shari, It is scary to get one of those and know if it will work or not–but that one is a good one. I remembered that you had this post a while back and just wanted to add my new favorite thing for a sick baby…Boogie Wipes! My mother bought them while were visiting them over Thanksgiving. At first, I thought they were too frivolous at $3-4 a package BUT I now think they are worth it when cold season moves into your house to stay for a while. They are moistened with a saline solution and are perfect for wiping awake the caked-on mess of a runny nose without too many tears! Thanks for sharing that! They do sound like they are worth it during a bad cold! I just have a little sick baby at home 🙂 A thing which works so great for sucking their nose empty is NoseFrida: http://www.fridababy.com/shop/nosefrida/ and instead of Baby Vick I use an essential oil mix: http://translate.google.de/translate?hl=de&sl=auto&tl=en&u=http%3A%2F%2Fshop.bahnhof-apotheke.de%2Fartikeldetails.php%3Faid%3D51584 I put it on the chest, back and feet and then another essential oil balm for on the nose: http://translate.google.de/translate?hl=de&sl=auto&tl=en&u=http%3A%2F%2Fshop.bahnhof-apotheke.de%2Fartikeldetails.php%3Faid%3D51584 They send world wide, but I think you can also mix it yourself with the ingredients. I love the oils when I have the cold and I have the feeling it helps her breath a lot. Thanks for all your great posts Valerie!